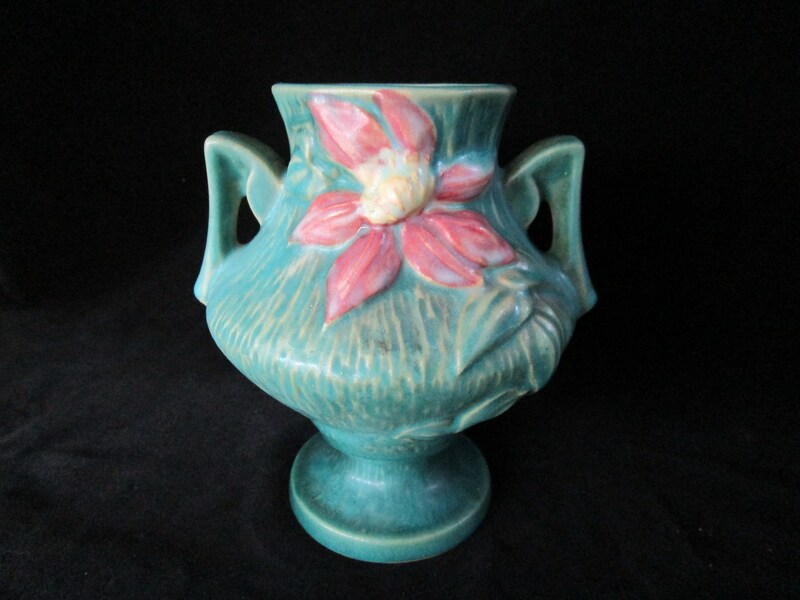 Lovely green background highlights pink Clematis blooms on this double handled urn like vase. Roseville Pottery, Clematis pattern, 188-6. In great condition, no chips, no cracks and no repairs. A great find, has been well taken care of for decades. The vase measures 6 inches high and is 6 inches across at it's widest point.